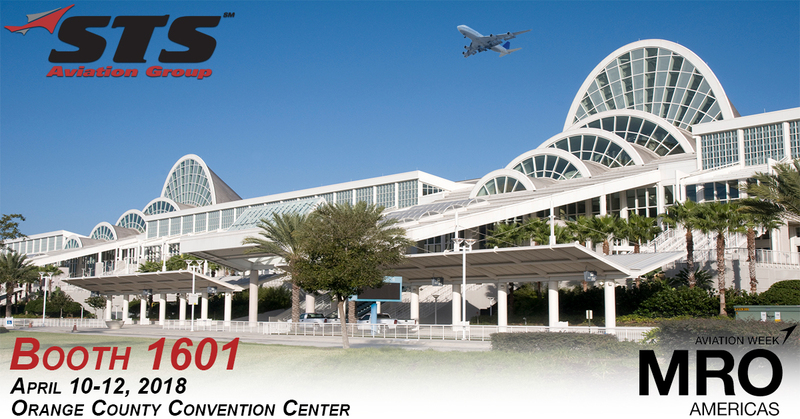 STS Aviation Group Returns to Orlando for MRO Americas! MRO Americas never fails to impress and is globally recognized as the premier event for the commercial air transport maintenance, repair and overhaul industry. Known as the largest and most vital trade show in the industry, it is a must attend for airlines, MROs, suppliers, OEMs, regulators and aviation experts. MRO Americas provides a world-class stage for all of its attendees to gather, exchange ideas, display the newest products and services, share experiences, resolve challenges and gather the knowledge required to better advance the world of aircraft maintenance. At this year’s conference, attendees can expect amazing displays from 850+ industry providers exhibiting throughout the completely sold out halls of the OCCC. Conference sessions covering a wide breadth of topics will take place throughout the event. In addition, attendees can enjoy the Aerospace Maintenance Competition presented by Snap On, Aviation Week Network’s Lifetime Achievement Award presentation, and the 52nd Annual Airlines for America Nuts & Bolts Awards. You can also expect casual networking opportunities such as the golf tournament taking place at Shingle Creek Golf Club, various coffee and lunch breaks, and even some entertaining supplier-hosted parties that take place after trade show hours. There is truly no better place to network with your peers, explore the outstanding and unmatched exhibit hall, and achieve results to further advance and improve the MRO community. Everyone at STS Aviation Group is excited to once again put our growing portfolio of value-added products, services and programs on display to the many industry professionals attending this dynamic event. Remember to fly by booth 1601 and learn more about what makes STS Aviation Group the aerospace industry’s premier global provider for all of your company’s workforce management, aircraft & engine component, engineering, line maintenance, hose manufacture & distribution, NDT, aircraft interiors refurbishment and aircraft connectivity modification requirements. We really look forward to seeing you all in Orlando!